Since 2017, Front & Scenter has worked to make our products stand out and outstanding. Our exclusive scents are comprised of high quality, perfume grade fragrance oils that makes any house feel like a home. To maintain the integrity of each product, items are made in small batches, and can even be made to order. Hand poured with love, Front & Scenter candles are curated with a coconut wax and all natural soy wax blend. This unique blends allows for powerful, strikng scent throws that are sure to emit great scents and even better vibes throughout your space. Our linen and body sprays are alcohol free and are composed of perfume grade oils for a long lasting impressionable scent. Lather yourself in our high quality body oils and scrubs which are comprised of natural almond oil, jojoba oils, and fragrances, for soft, moisturized, resilient skin. "Find your flame and keep it lit." 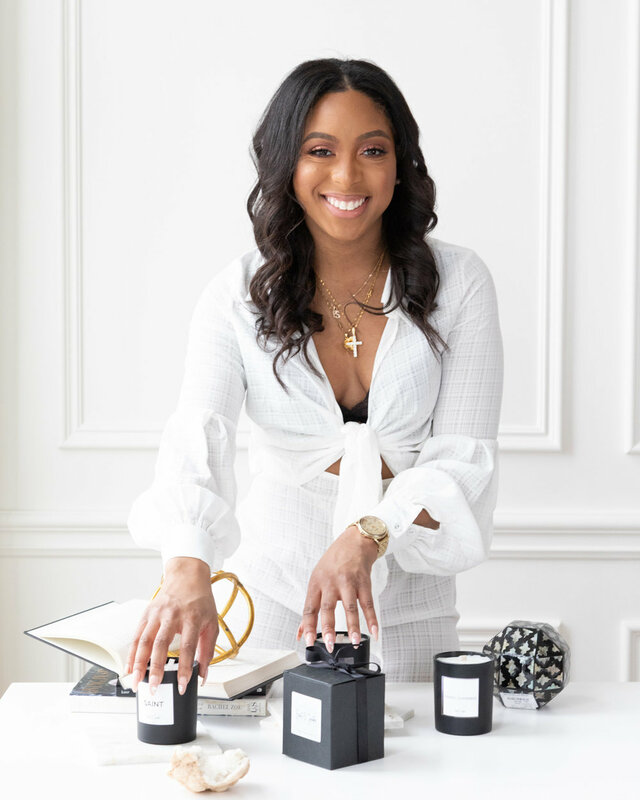 Michigan Native Arielle Martin holds a true passion for clean fragrances. Since youth, Martin always believed that if it did not smell good, it was not clean. However, when developing her brand, she wanted to ensure that even if it smelled good, it was still clean. She tested various blends for months before curating the perfect blend that was birthed into Front & Scenter. Her love for Real Estate, the city, and fine fragrances come together to transform the city, one sensory experience at a time. Hey Friend! We’d love to get connected with you on social. Be sure to follow and tag @frontandscenter to be featured.